Hello. In a previous post, I discussed how you could make money selling things on eBay. If that intrigued you, you might be wondering how to find more things to sell. There are a lot of different places to find inventory for eBay. In today’s post, I will be going over four of them. The first place that you find inventory for eBay is to look on Craigslist. You may be asking yourself why Craigslist is on the list. Craigslist is not just for buying and selling items. They also have a “free” section where people can list things that they are giving away for free. A lot of the times there are some items that you can make money off of. It just depends on when you check their site. I’ve seen people list televisions that still worked, bed frames, plates, and dressers. Those free items tend to disappear very fast, but if you can get to them first, you should be able to flip them. 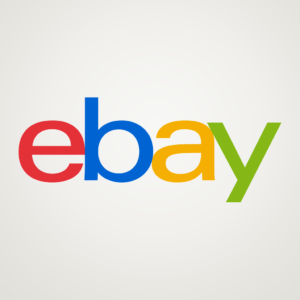 The next place to find inventory for eBay is to check your closets. I’m almost 100% sure that you have clothes that you don’t wear anymore or items that you don’t use anymore. I clean out my closets a couple of times during the year. I’m shocked at some of the things that I find in there just collecting dust. Once I find something that I think will sell, I clean it up and check eBay’s site for similar items. I check to see what they are selling for or if they have sold already. If I have some items that I don’t think will sell, I usually donate them to the Salvation Army or The Goodwill. Yard sales are another one of my favorite places to look for items. You can hit the lottery at yard sales sometimes. Depending on the seller’s situation, they just want to get rid of everything as soon as possible. The prices may already start off good, but you can usually talk them down even lower. I like to check yard sales on different sides of my city. The type of items and the quality will be different. Don’t sleep on certain areas that some people may call rough or bad. In my experience, I have found some major steals at yard sales in those areas. You can’t always judge a book by its cover. The final place that you can get inventory for eBay is from your family. If your family likes to keep or hoard stuff, you may be in luck. If your family is like mine, they have a closet or a basement full of things that they might not be using. Ask them what they plan to do with it. They might let you get the stuff for free, or they may ask you to split the profits. I think that could be a win for you because any way you look at it, you will be making some money off those items.